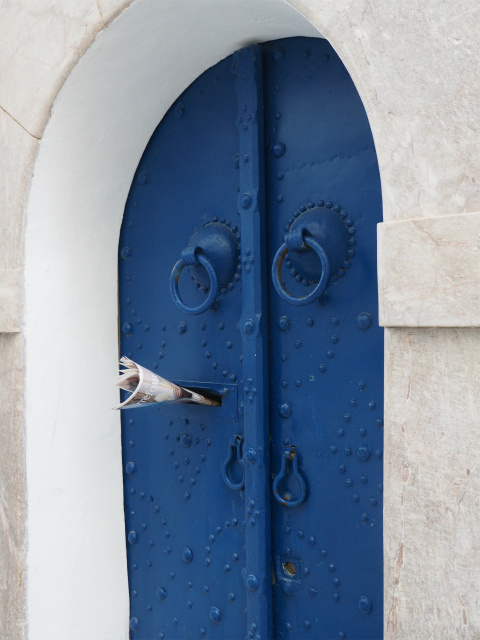 Error: a marker with the ID 51 does not exist! 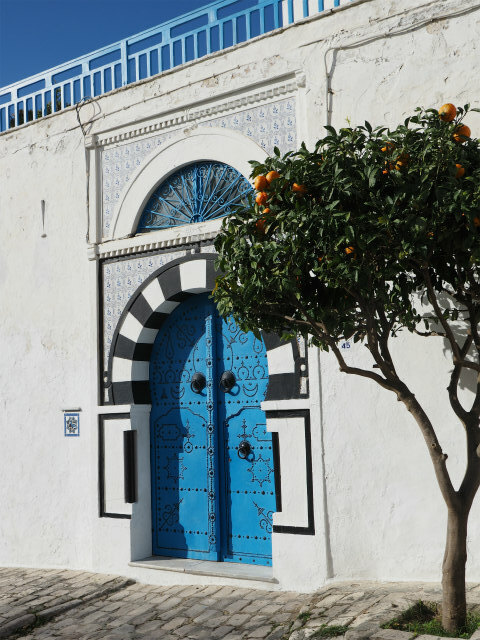 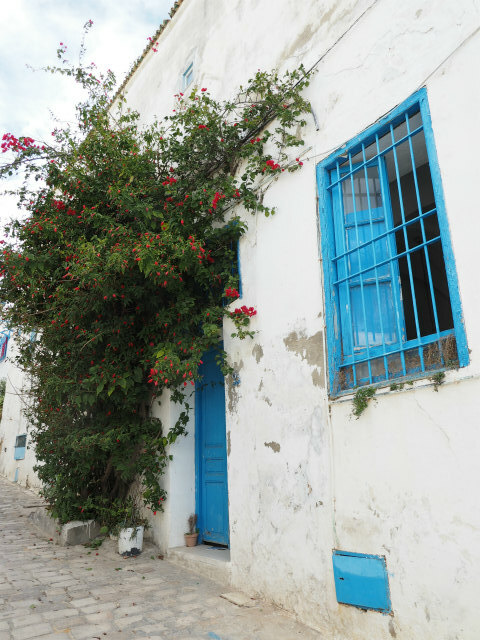 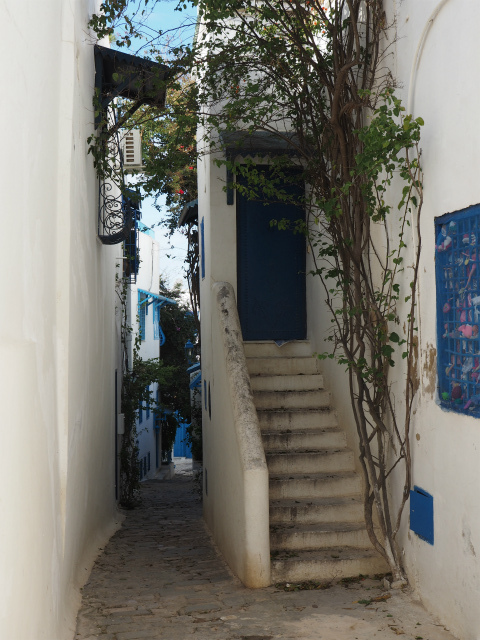 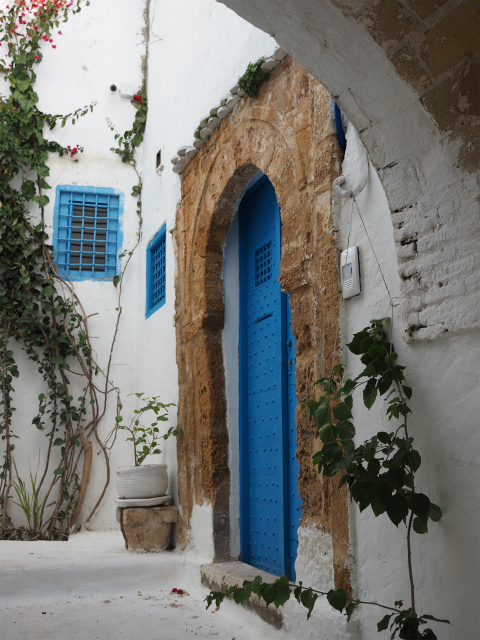 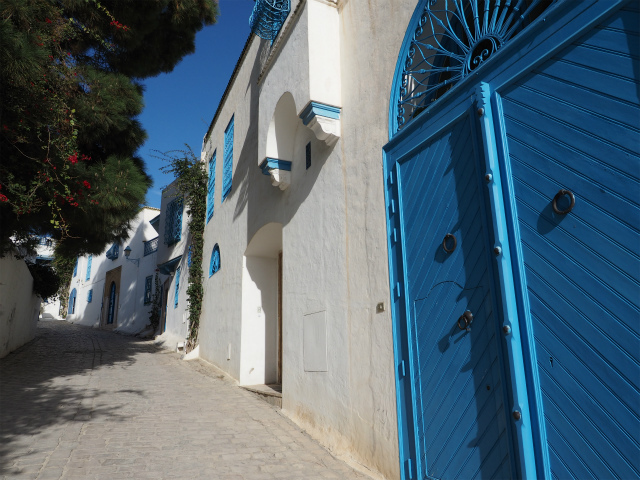 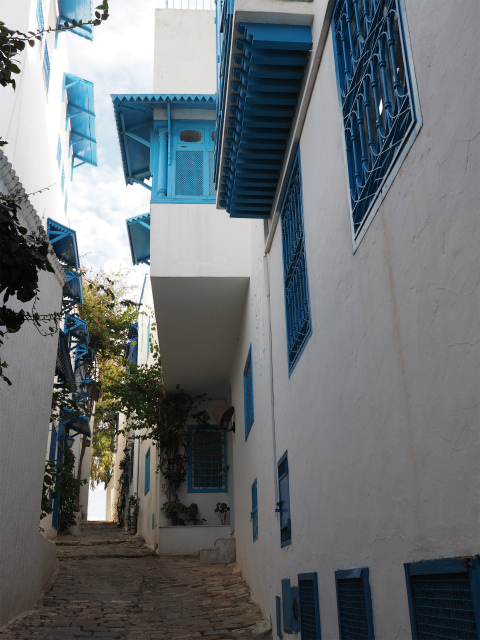 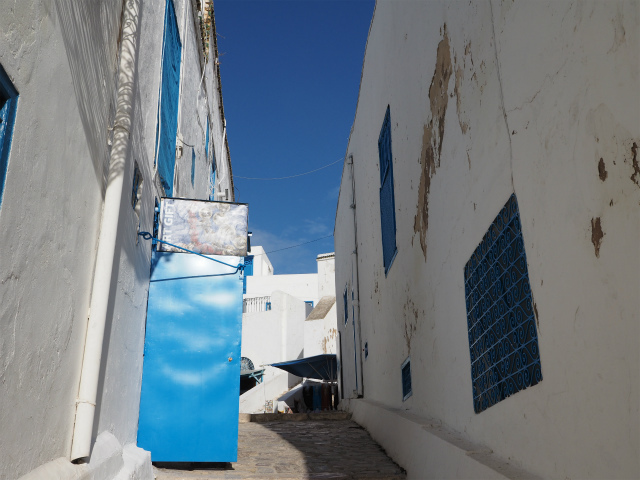 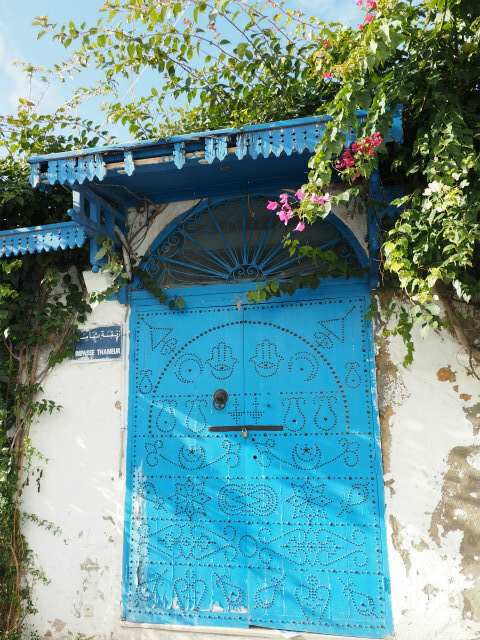 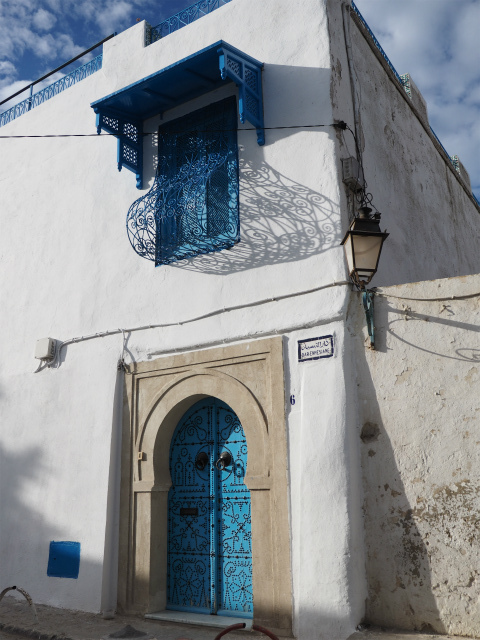 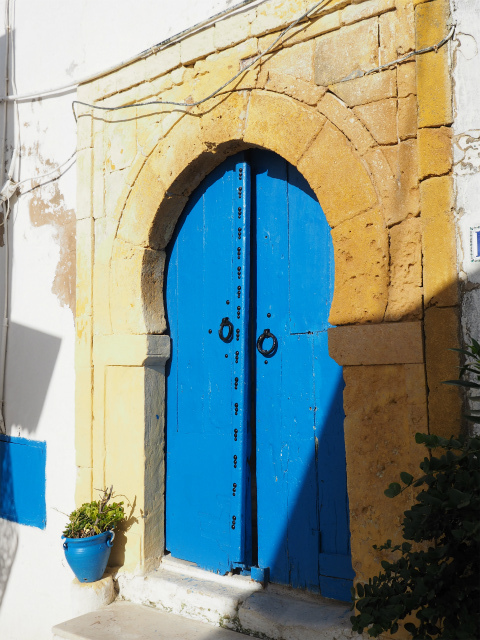 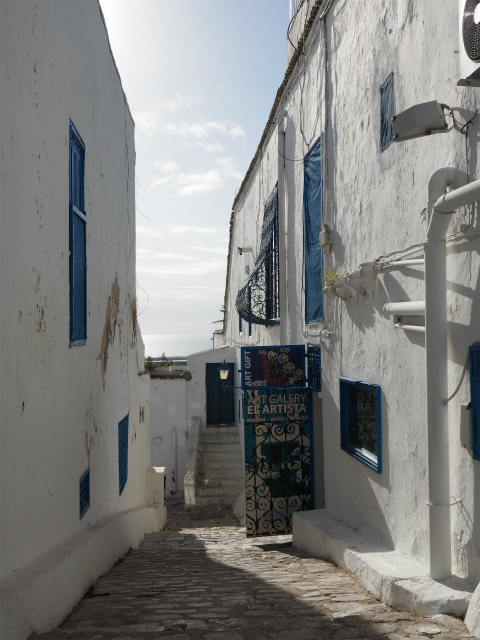 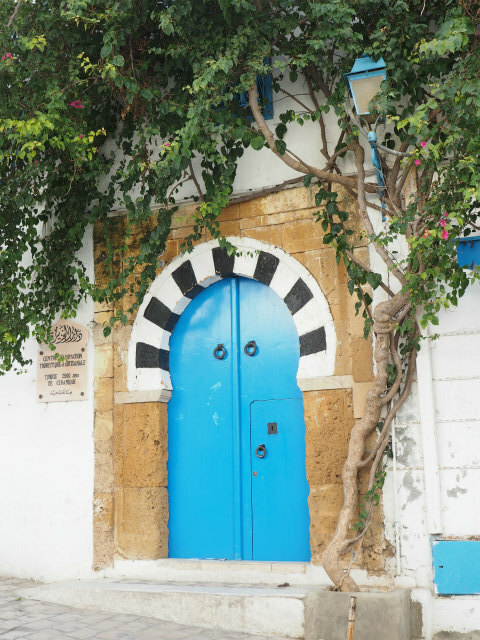 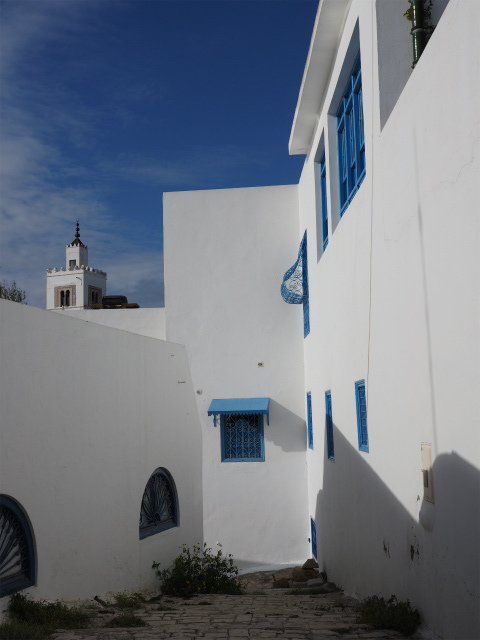 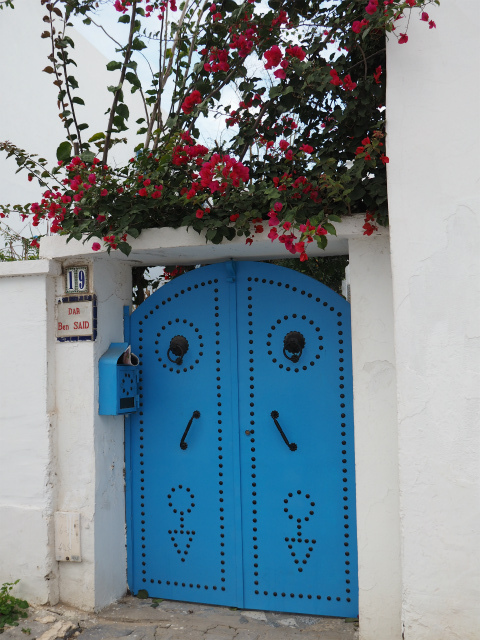 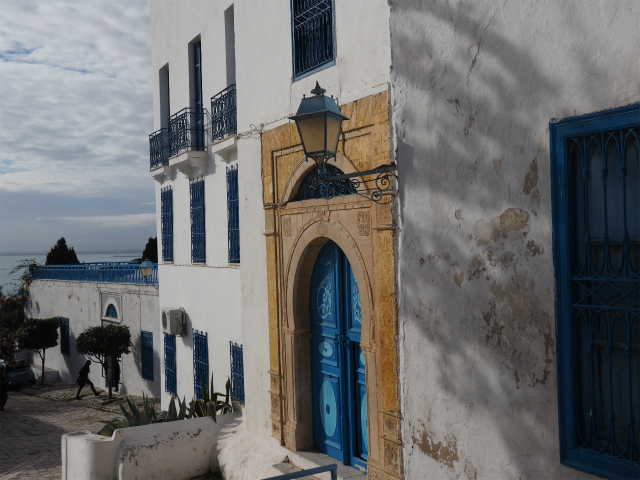 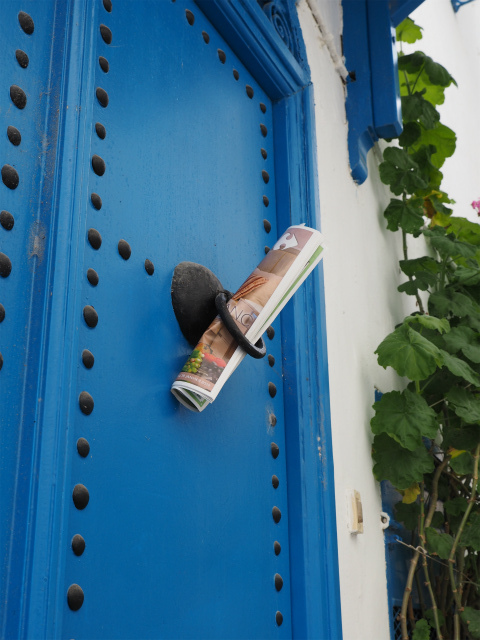 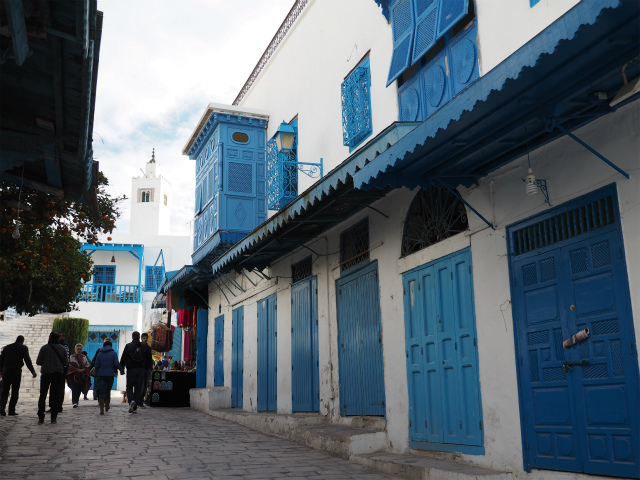 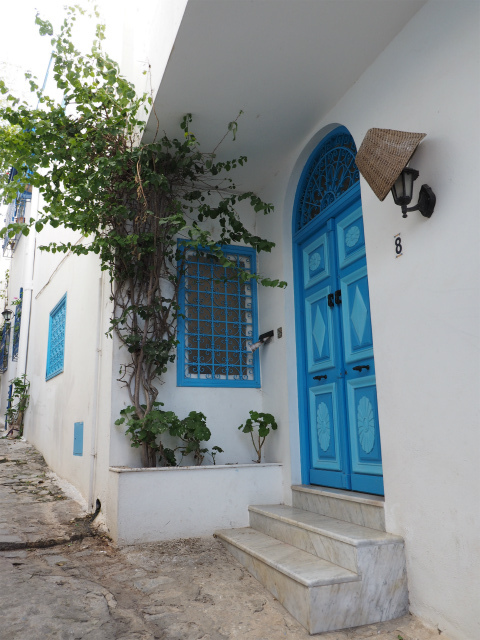 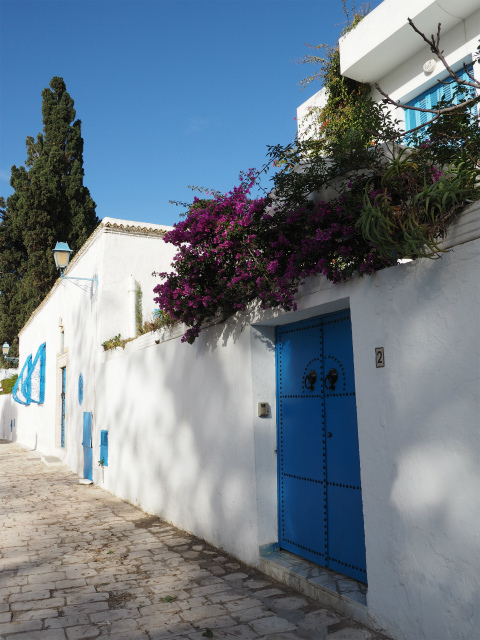 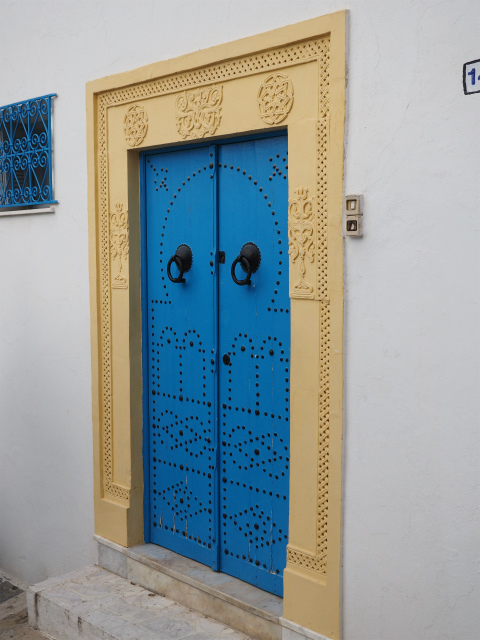 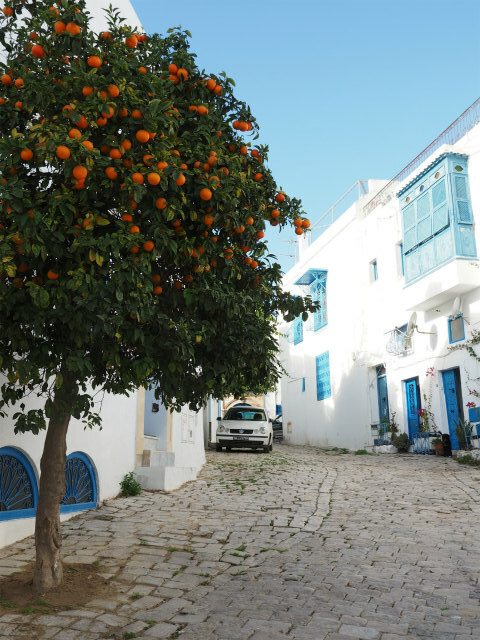 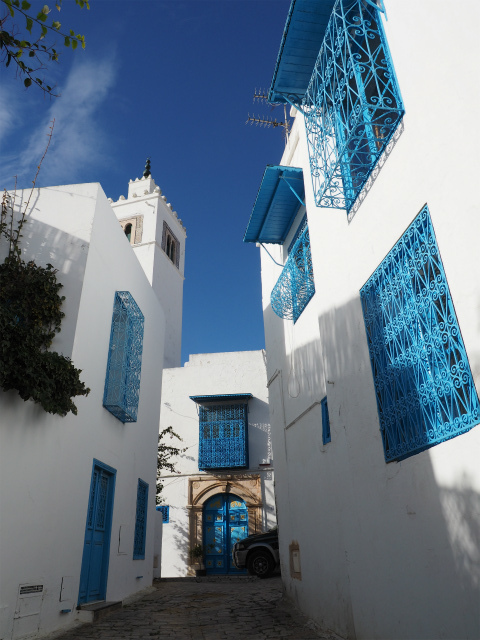 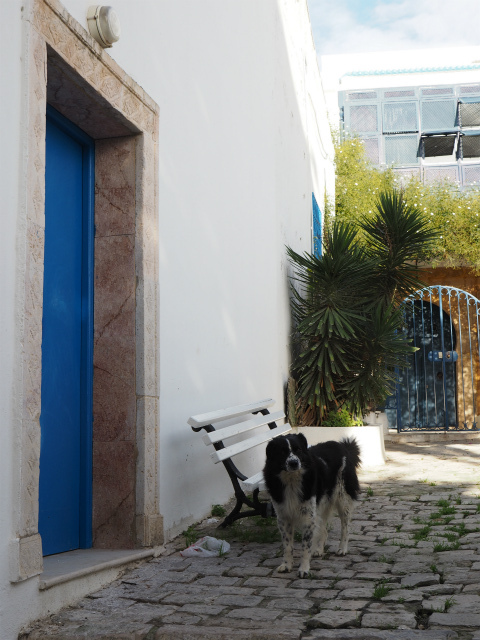 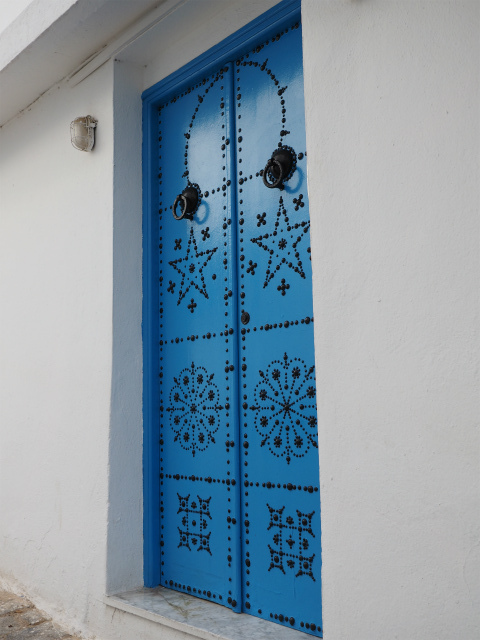 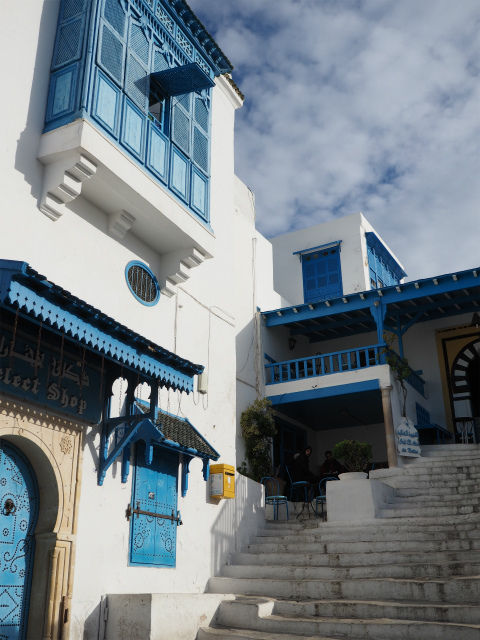 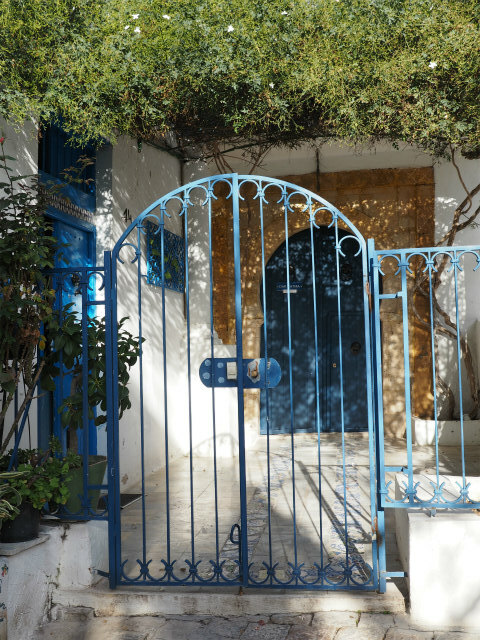 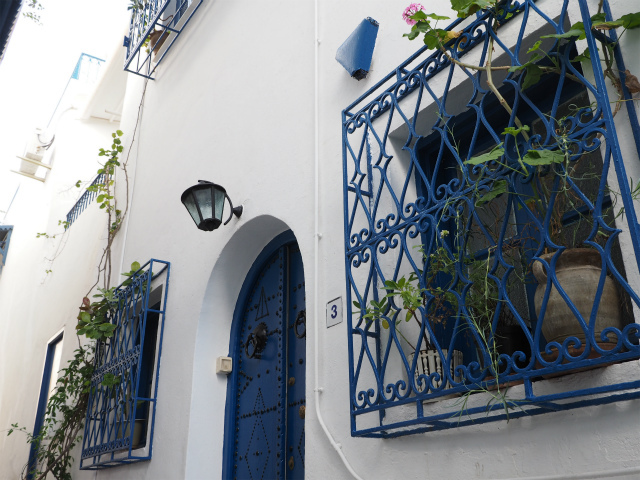 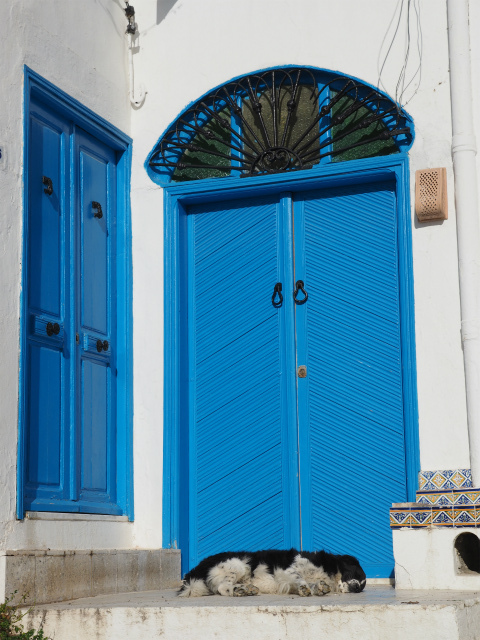 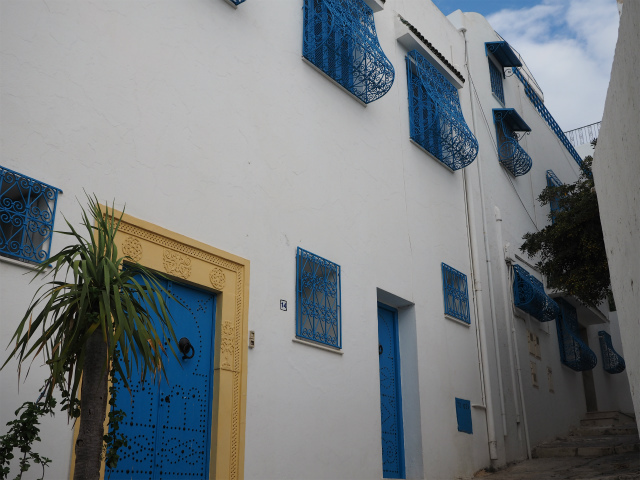 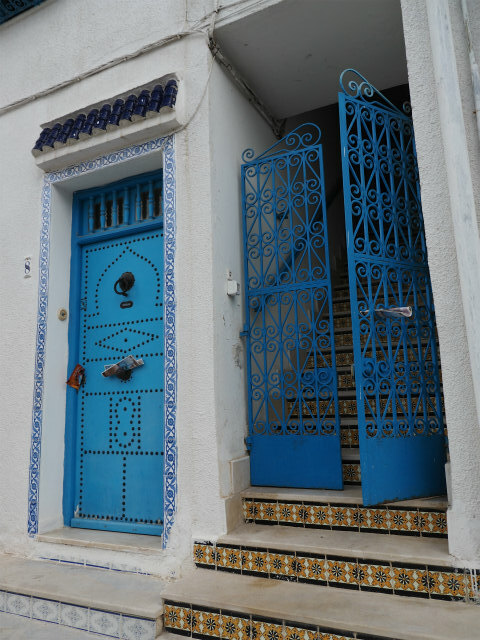 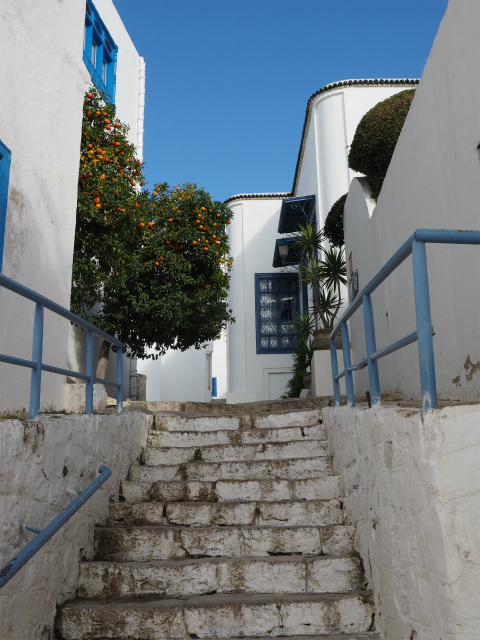 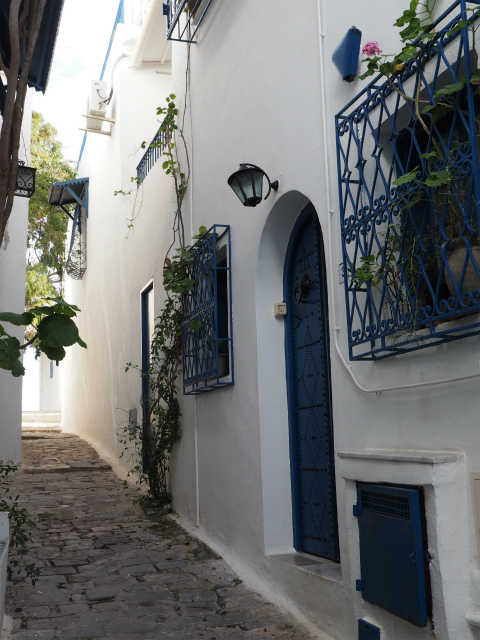 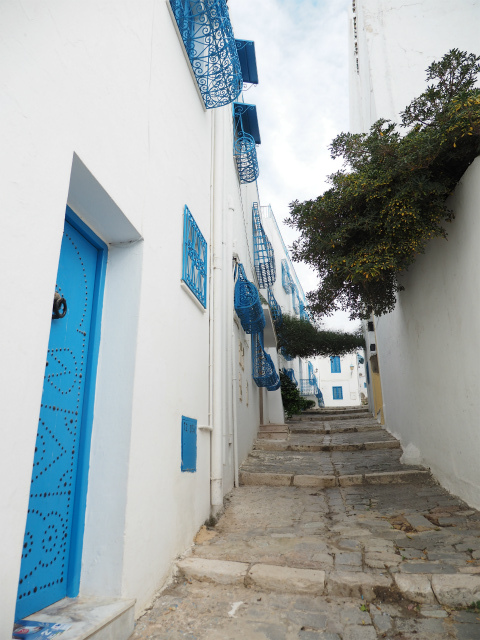 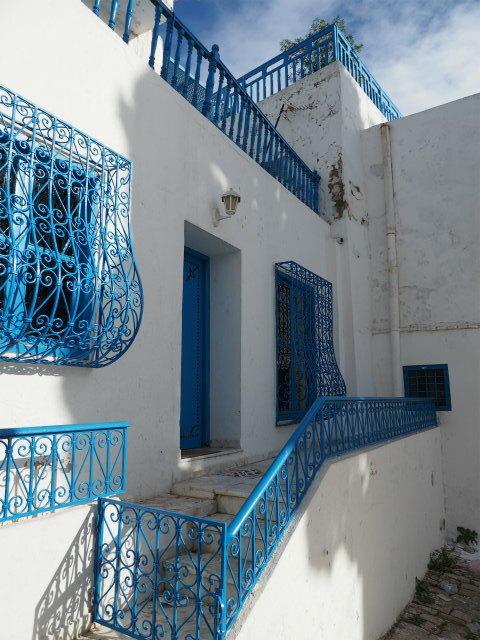 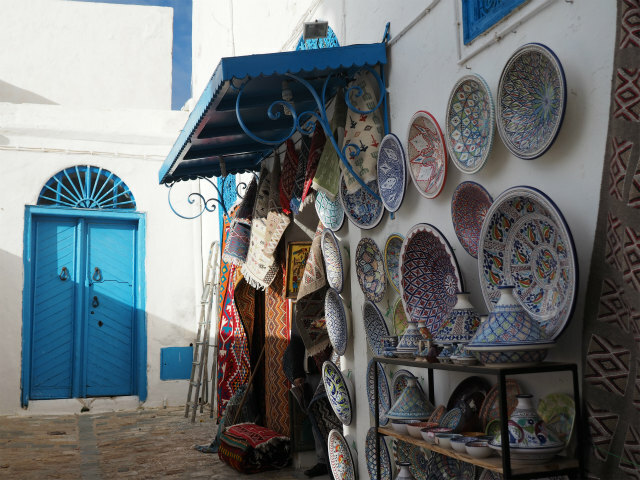 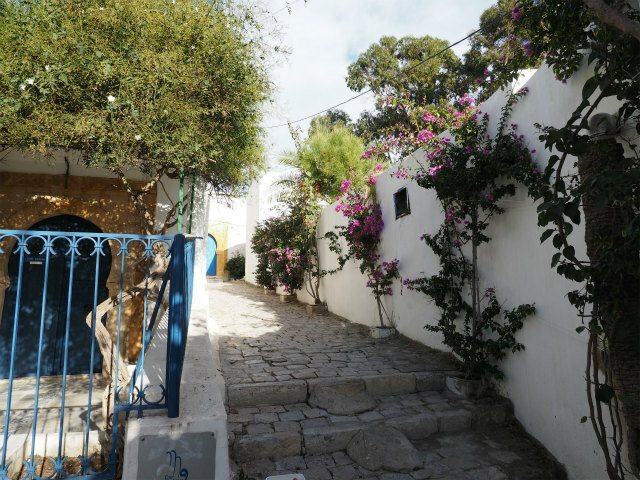 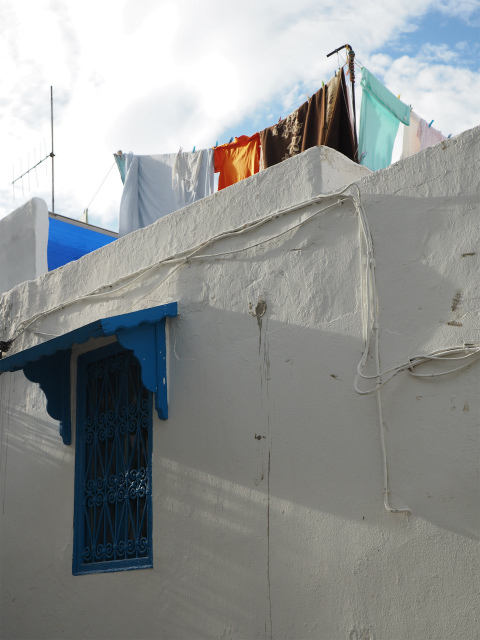 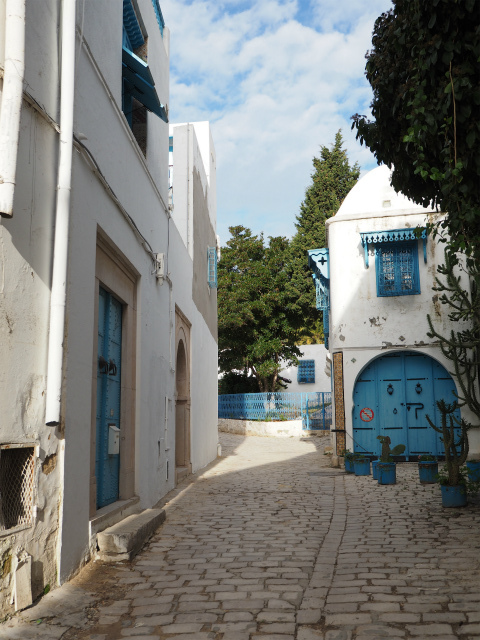 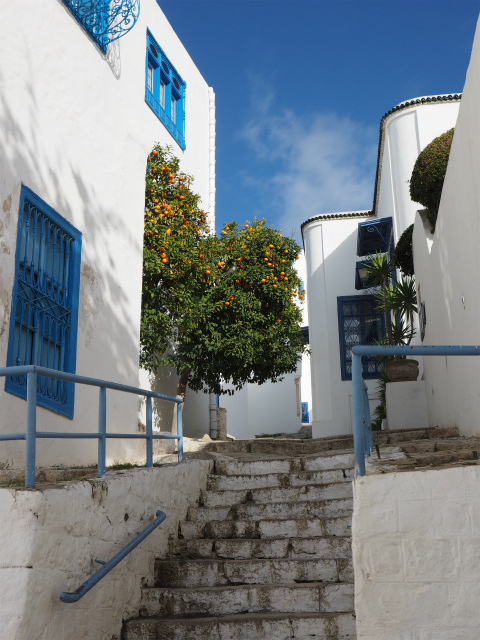 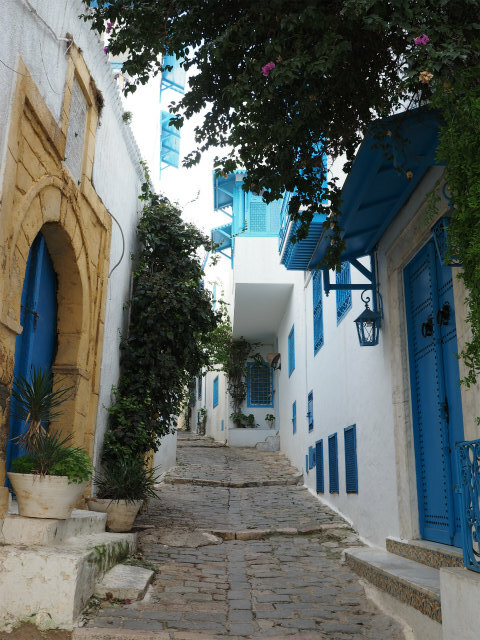 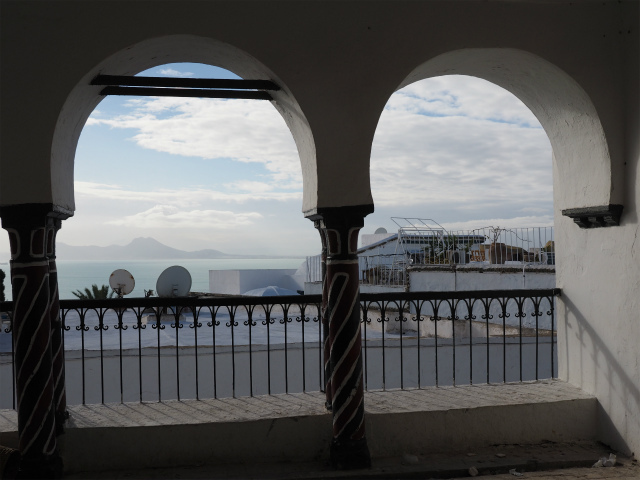 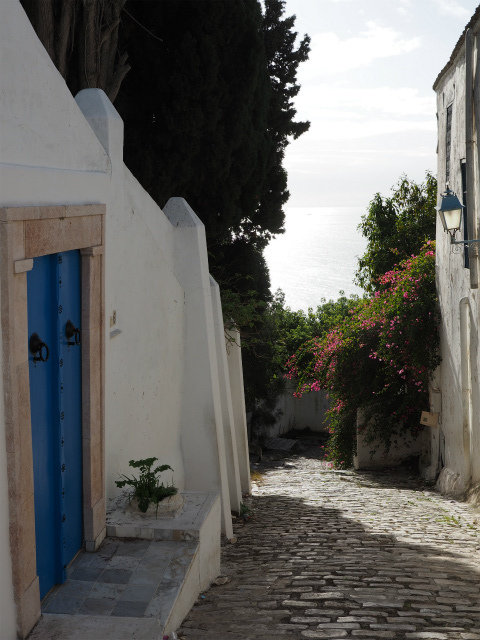 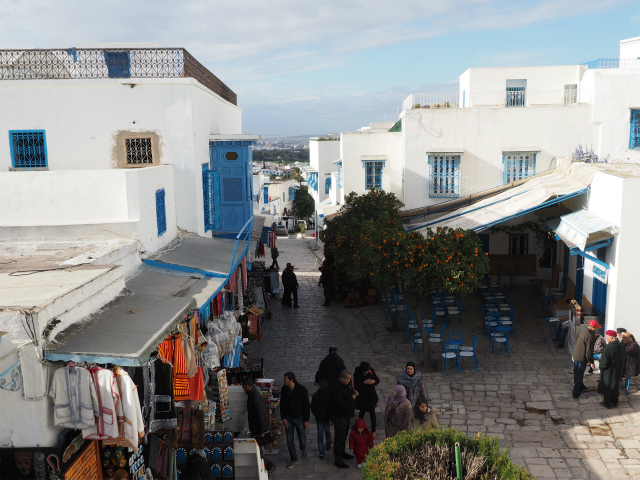 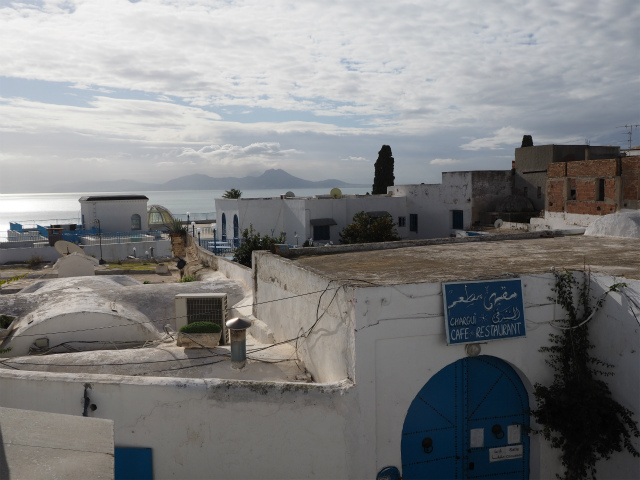 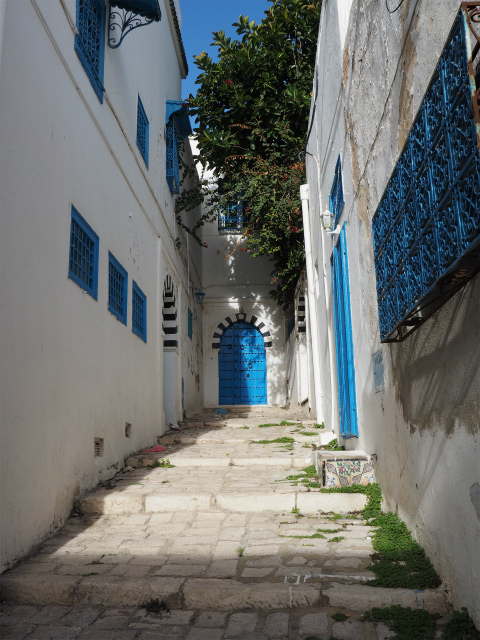 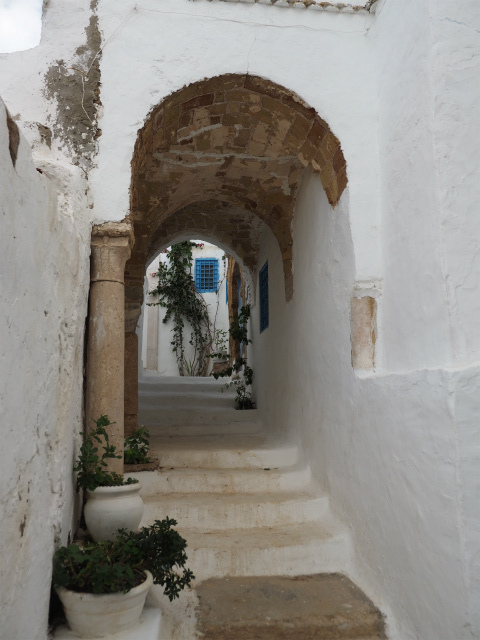 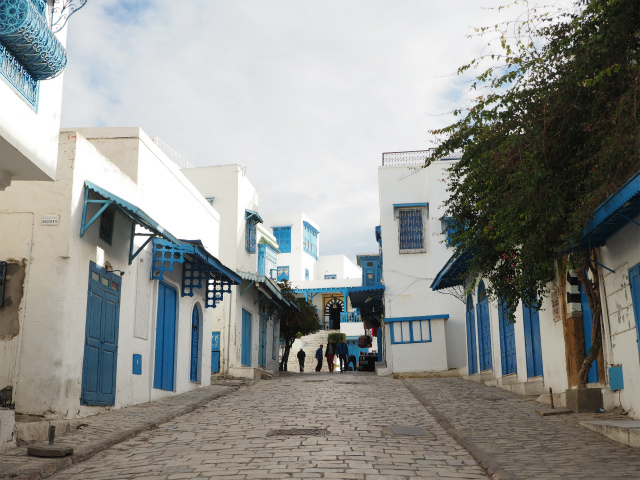 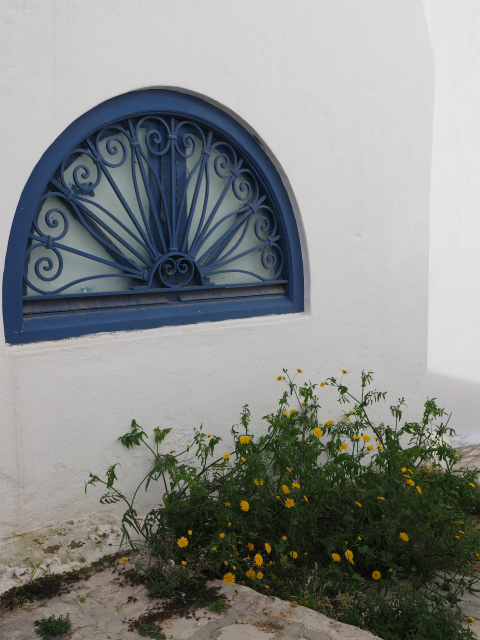 Sidi Bou Said (Arabic: سيدي بو سعيد‎) is a town in northern Tunisia located about 20 km from the capital, Tunis. 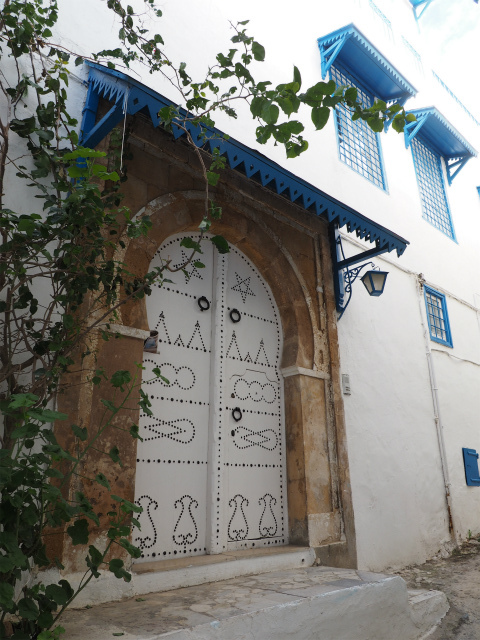 Named for a figure who lived there, Abou Said ibn Khalef ibn Yahia Ettamini el Beji (previously it was called Jabal el-Menar). 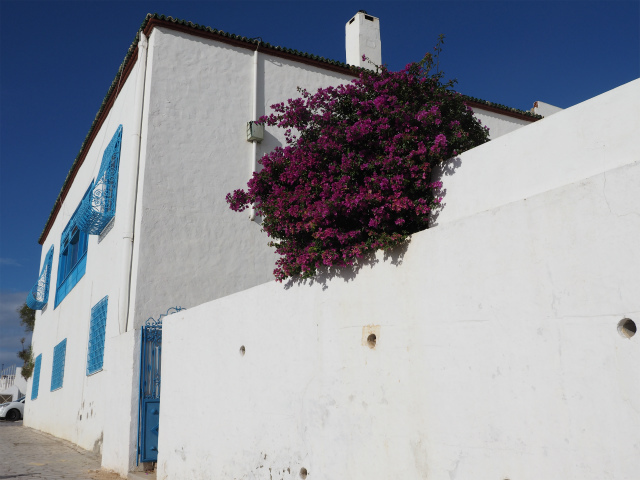 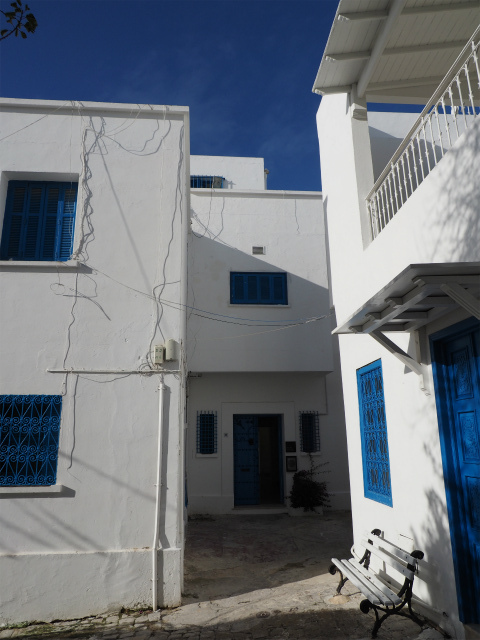 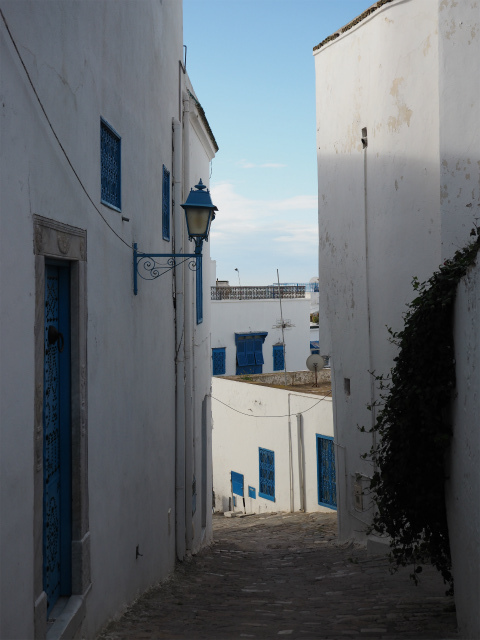 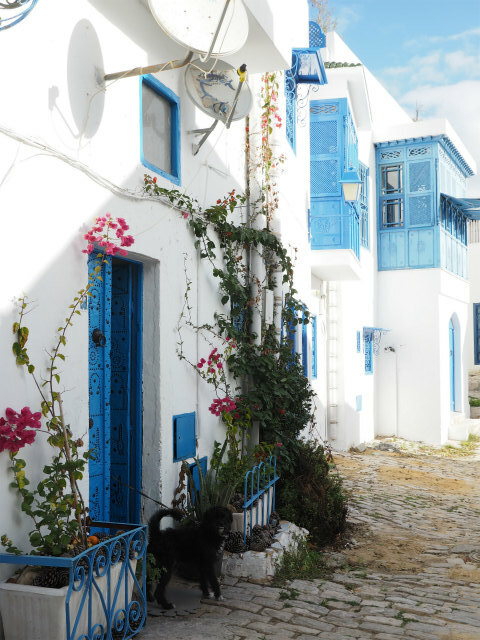 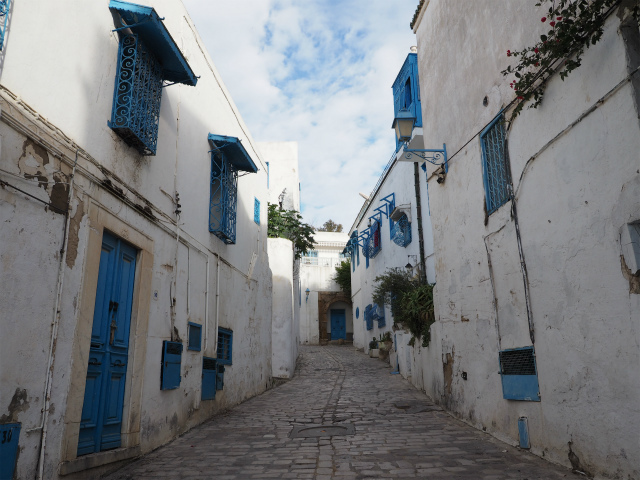 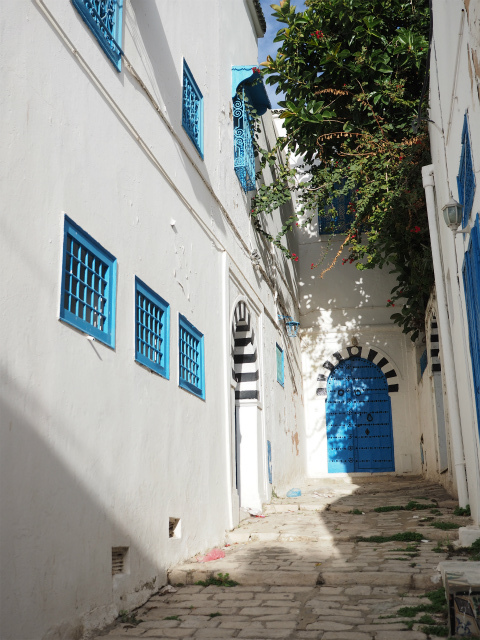 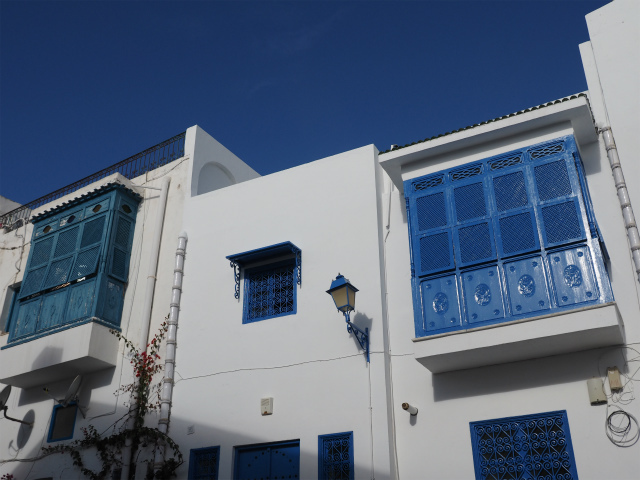 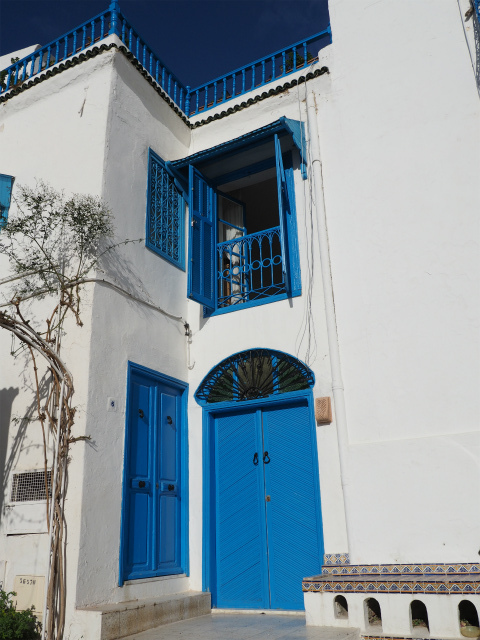 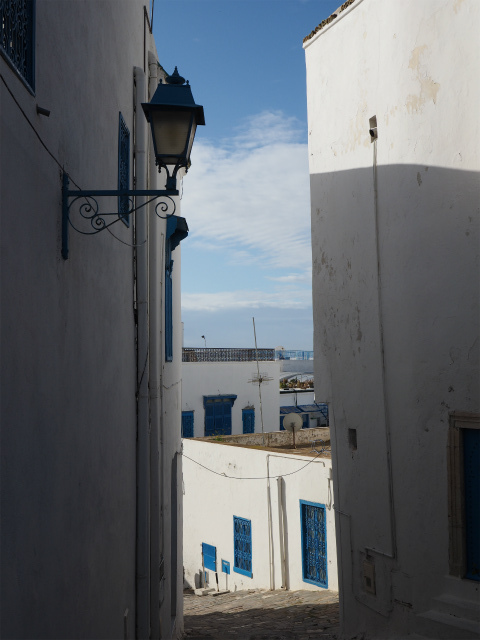 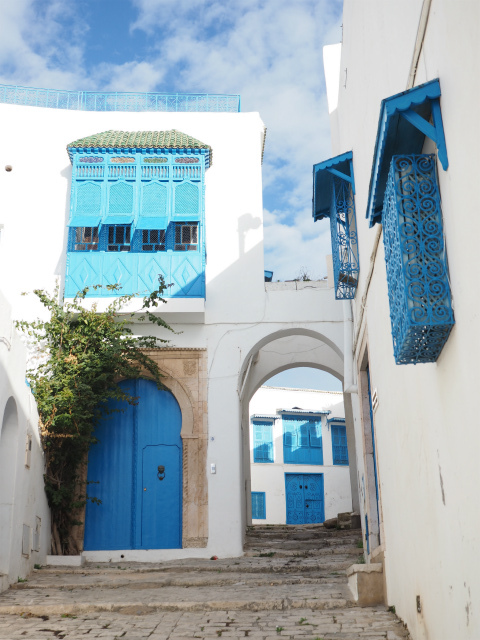 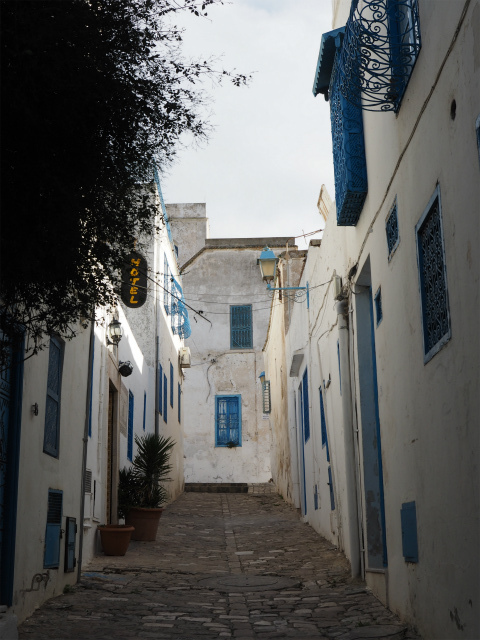 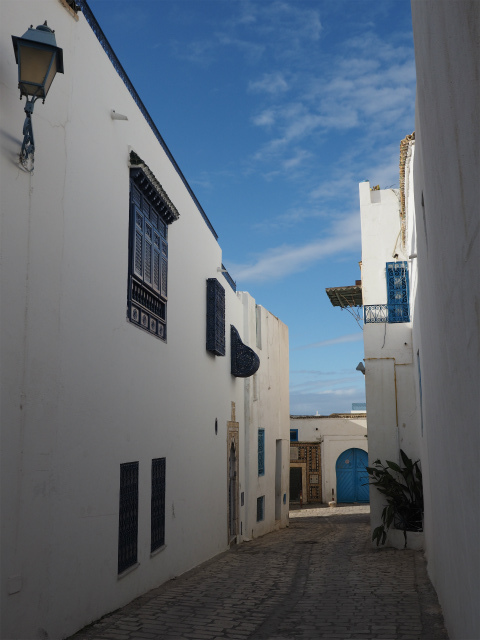 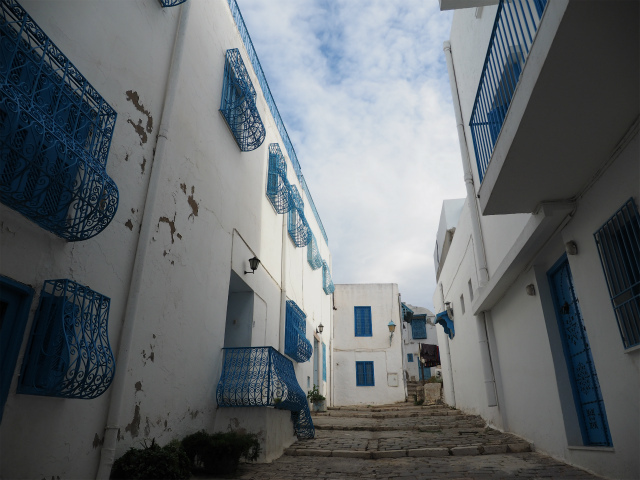 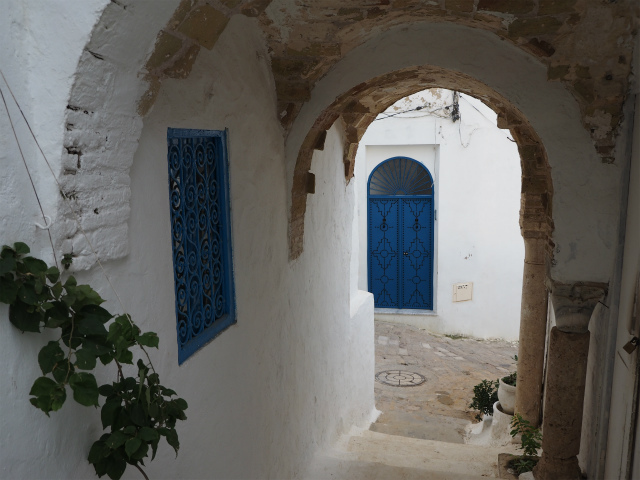 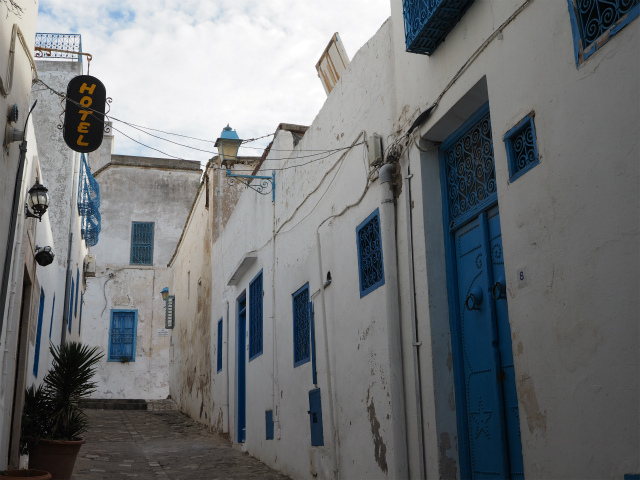 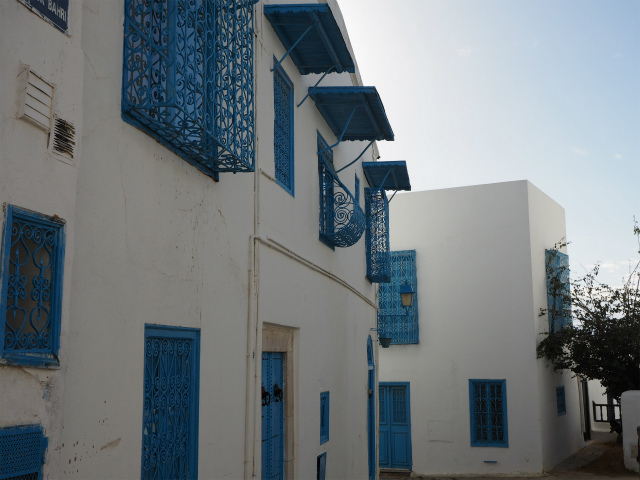 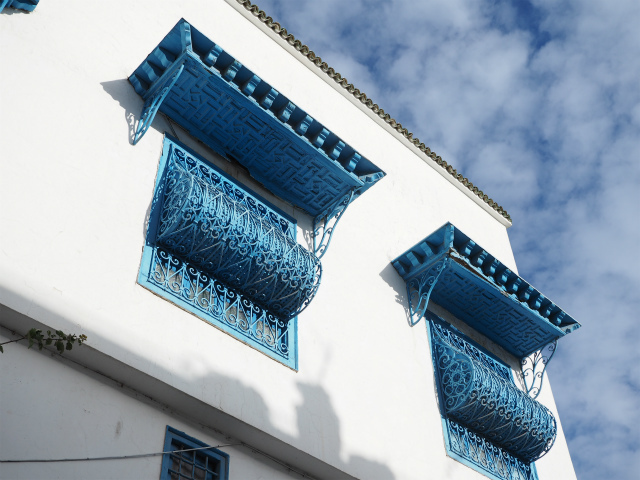 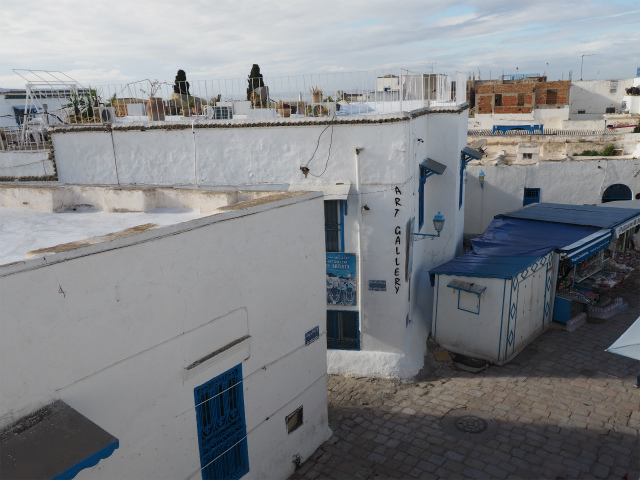 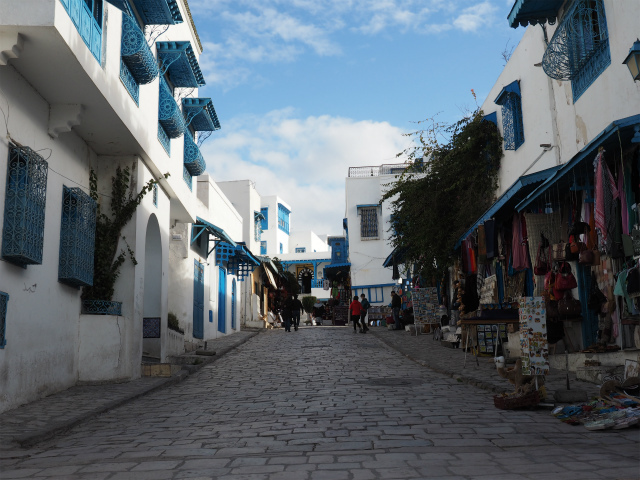 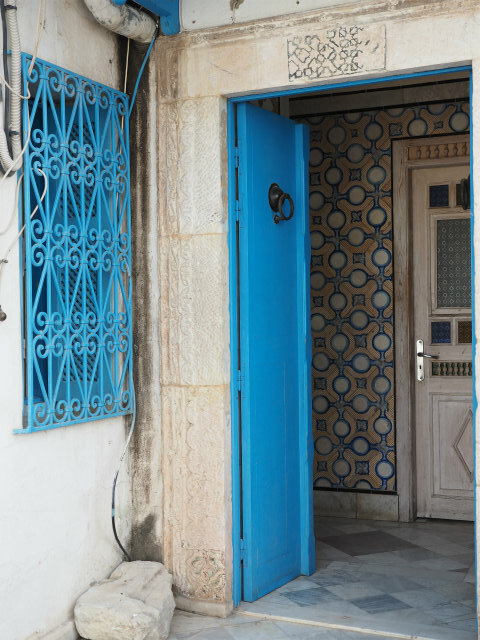 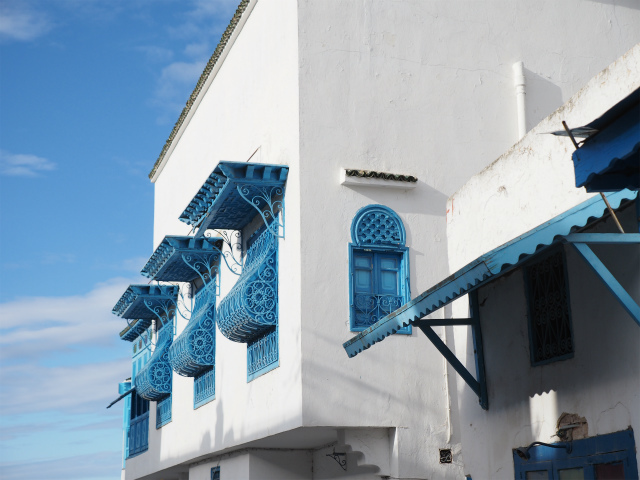 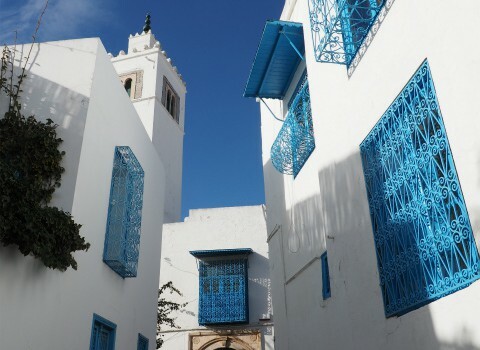 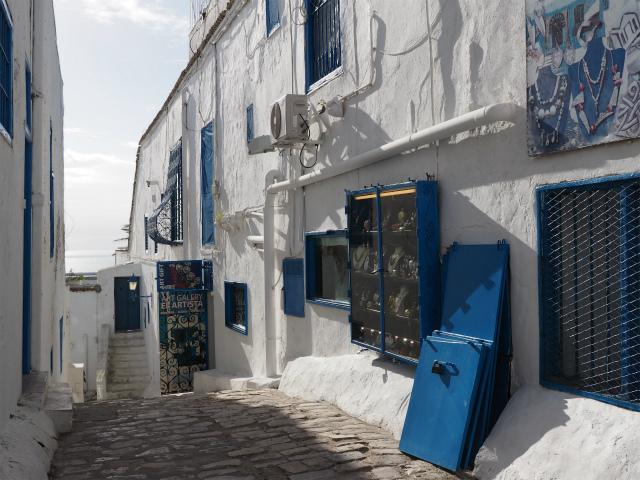 The town itself is a tourist attraction and is known for its extensive use of blue and white. 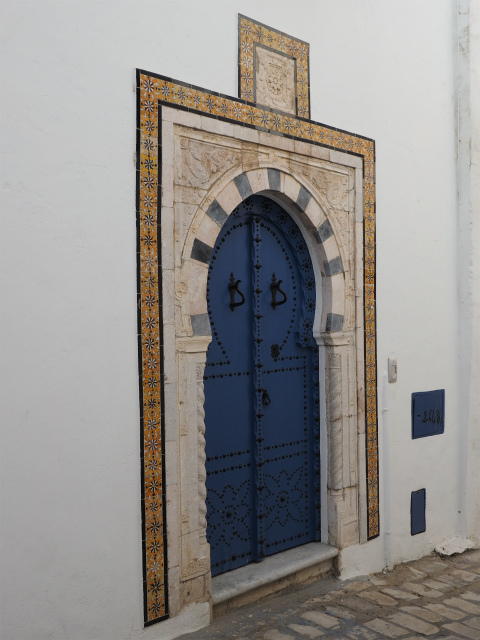 teaching at the University of Tunis. 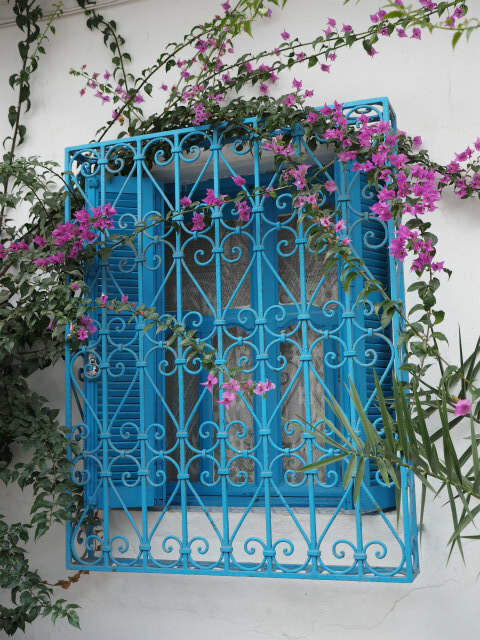 establishes a sanctuary. 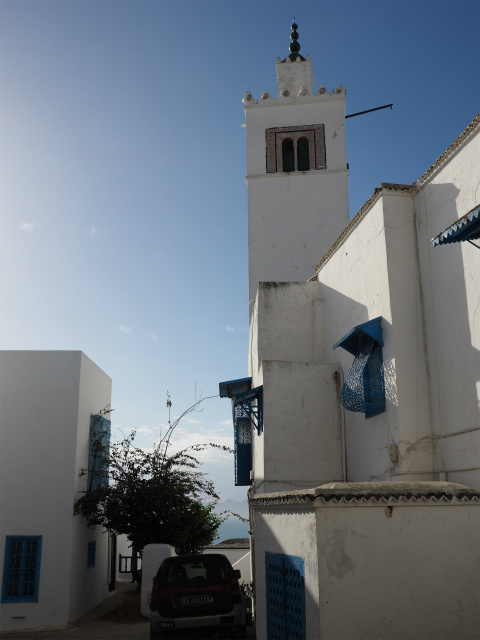 After his death in 1231, he was buried there. 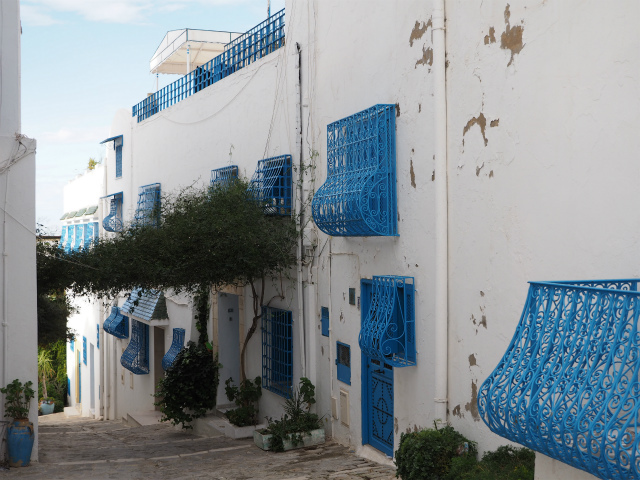 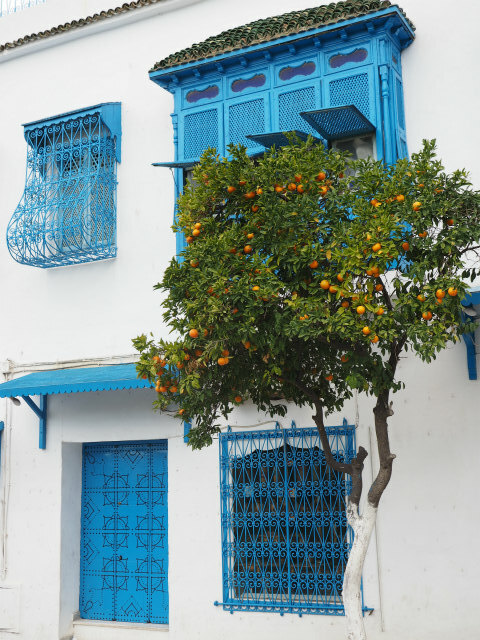 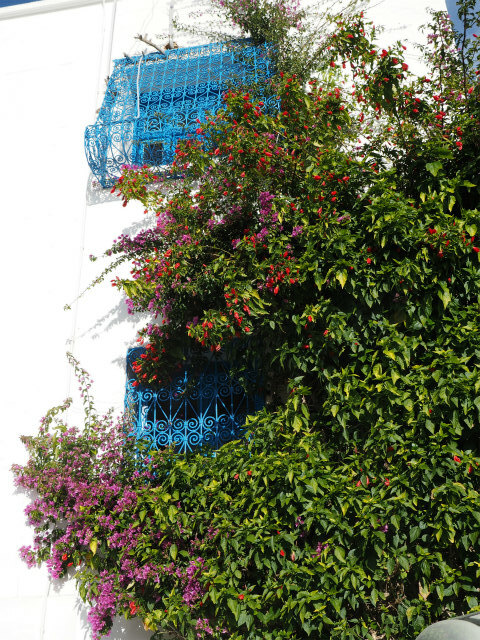 Rodolphe d’Erlanger applied the blue-white theme all over the town. 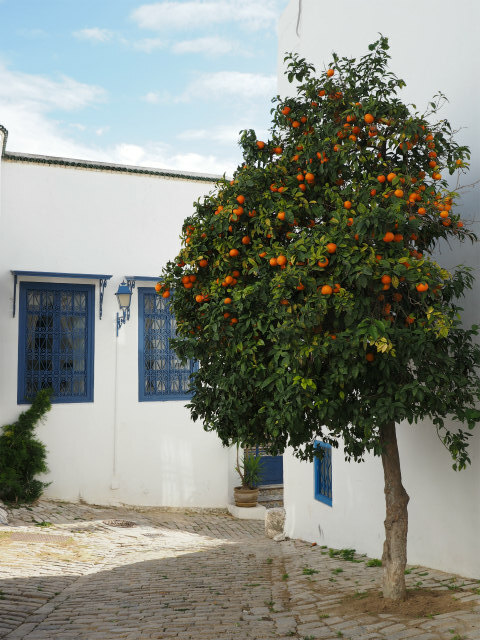 inspired famous artist Paul Klee, and famous writer Andre Gide.